​The Philippines' leading budget carrier, Cebu Pacific Air posted a net income of PHP9.8 Billion in 2016. This was up 122% year-on-year, on the back of the strong demand for low-cost air travel and robust growth in ancillary revenues, which include baggage fees, on-board meals and merchandise. Total revenues, which include CEB cargo services and wholly-owned subsidiary Cebgo, jumped 9.6% to PHP61.9 Billion, as passenger revenues surged 9.2% to PHP46.6 Billion. For the full year, CEB flew 19.1 Million passengers, up 4.1% versus the 18.4 Million passengers carried in 2015. "2016 was a great year for CEB as we continue to enable everyJuan to fly to more destinations around the Philippines and to key destinations in Asia, the Middle East, Australia and the US. CEB remains committed to further increase inter-island connectivity within the Philippines to promote trade and tourism and help more people connect with their families and friends all around the world, while consistently providing our trademark best value fares," said Atty JR Mantaring, Vice President for Corporate Affairs of Cebu Pacific. In 2016, Cebu Pacific flew to 36 domestic and 30 international destinations through 102 routes and more than 2,820 flights weekly. 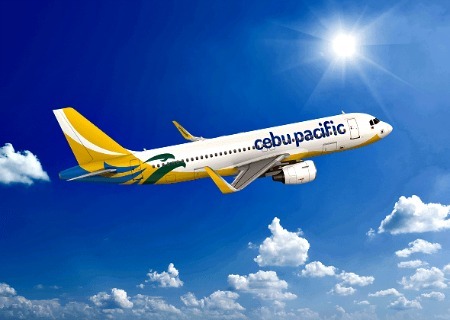 CEB boosted its intra-regional network in the Visayas with flights from Cebu to Ormoc, Roxas and Calbayog. The airline also launched direct service between Kalibo and Incheon; as well as its first US destination, Guam. CEB also teamed-up with some of the world's leading Low Cost Carriers (LCC) to form Value Alliance, the world's largest LCC Alliance, which aims to provide greater value, connectivity and choice for travel throughout Southeast Asia, North Asia and Australia. CEB also opened a branch office in South Korea, to boost promotional efforts in the Korean market. CEB capped 2016 with 57 aircraft, adding two brand-new ATR 72-600 aircraft in February 2017, to bring its current fleet to 59. For the rest of 2017, CEB expects to take delivery of one Airbus A330, two Airbus A321neo, and four more ATR 72-600; and delivering out three of its four Airbus A319 to end the year with 63 aircraft. CEB continues to have one of the youngest aircraft fleets in the world, with an average age of 4.91 years. Cebu Air, Inc. is the largest carrier in the Philippine air transportation industry, offering its low-cost services to more destinations and routes with higher flight frequency within the Philippines than any other airline. Its wholly-owned subsidiary Cebgo offers flights to 27 domestic destinations via two strategic hubs in the Philippines namely, the Ninoy Aquino International Airport (NAIA) Terminal 4 in Manila and Mactan Cebu International Airport (MCIA) in Cebu. CEB's 59-strong fleet is comprised of four Airbus A319, 36 Airbus A320, seven Airbus A330, eight ATR 72-500, and four ATR 72-600 aircraft. Between 2017 and 2021, CEB expects delivery of one more brand-new Airbus A330, 32 Airbus A321neo and 12 ATR 72-600 aircraft. For bookings and inquiries, guests can visit www.cebupacificair.com or call the reservation hotlines (+632)7020-888 or (+6332)230-8888. The latest seat sales can be found on CEB's official Twitter (@CebuPacificAir) and Facebook pages.